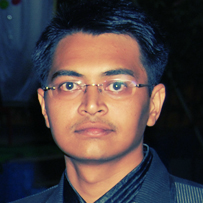 I am Harish, a reader, writer, traveller, language and code addict, curious by nature and less talkative. Writes code by passion, poems by interest and travels with ‘Love’. Here, I will be writing on things I’ve been working and any random topic, that pops up in my mind, that’s why it has been named as Freeway! Recently, I have been working on a project, which had a really huge form and required variety of complex client side validations. I tried jQuery.validation plugin but it was getting complex to write validations and was not satisfying my needs. Well, jQuery validate is really a great plugin, but I felt it little quirky and was uncomfortable with it. Register function on document ready. You may wish to configure few variables like this. Your form markup could be like this. Its not mandatory to have markup like this, but at least input tags should have a parent wrapper, say div, so that it can append validation messages for the fields. Those three data attributes are used for processing. For required elements use ‘regex’ : Use of ‘regex’ allows ONLY appropriate value for element. Value cannot be blank. For non-required elements use ‘null’ : Use of ‘null’ allows zero length value for element. Value can be blank. Please note that regular expression used in this script are following US standards of data structure. If this is used in conjunction with data-vtype ‘null’ & isnull = 1, then it will validate the value if it is filled with appropriate regtype provided. This may sound little confusing but you will understand once you get familiar with it. There are still lots of TODO things, which I would want this script to have. I will add them soon.